I. Non-Jews skip ahead to chapter 8! Gal 3:24: So the law was our (Jews) guardian until Christ came that we might be justified by faith. Romans 7:2-3: For the married woman is bound by law to her husband while he is living; but if her husband dies, she is released from the law concerning the husband. (3) So then, if while her husband is living she is joined to another man, she shall be called an adulteress; but if her husband dies, she is free from the law, so that she is not an adulteress though she is joined to another man. The Jews were married to the Law. v. 4-6 (NKJV): Therefore, my brethren, you also have become dead to the law through the body of Christ, that you may be married to another—to Him who was raised from the dead, that we should bear fruit to God. Mirror: (4) The very same finality in principle is applicable to you, my brothers and sisters. In the body of Christ, you died to the system of the law; your inclusion in his resurrection brought about a new union. Out of this marriage, (faith) now bears children unto God. also it changed from 2nd person (you – Jewish brothers) to 3rd person we demonstrating the all-inclusive effects of union with Christ in bearing fruit for God — not just for the Jewish believers but for ALL. v. 5-6 (NKJV): For when we were in the flesh, the sinful passions which were aroused by the law were at work in our members to bear fruit to death. 6 But now we have been delivered from the law, having died to what we were held by so that we should serve in the newness of the Spirit and not in the oldness of the letter. Mirror: (5) At the time when the flesh ruled our lives, the subtle influences of sins which were ignited by the law, conceived actions within us that were consistent in character with their parent and produced spiritual death. (6) But now we are fully released from any further association with a life directed by the rule of the law, we are dead to that which once held us captive, free to be slaves to the newness of spirit-spontaneity rather than age-old religious rituals, imitating the mere face value of the written code. in verse 6 “released” is passive tense meaning it was done to them, they had no part in it. Their covenant with the body of Moses, with the Law, was broken by their death in Christ so that they could enter into a New Covenant — it was all God’s doing! But the old man refers to all that mankind WAS and all that he HAD in Adam; the new man refers to all that mankind IS and all that he HAS in Christ. 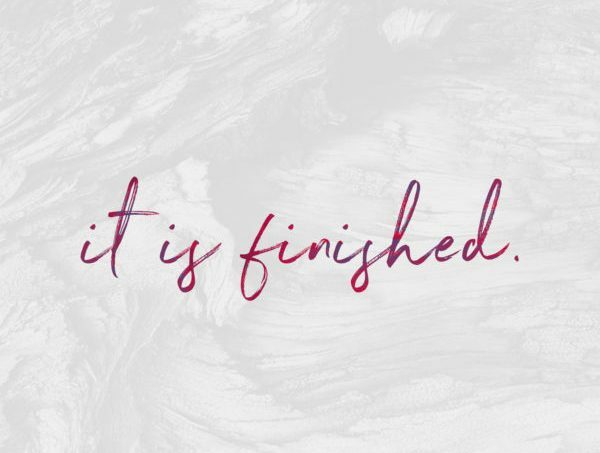 “Was crucified“–It is done! It is finished! There is no “old man” to crucify — he was crucified 2000 years ago. Your nature changed at the cross — not when you believed. Mankind’s new nature, their identification is solely in Christ — even if they aren’t aware of it yet. what was cut away and removed? Making us completely holy and righteous!! this is the message of the Gospel! The gospel is the revelation of the righteousness of God; it unveils how the Father, Son, and Spirit succeeded to put mankind right with themselves. It is about what God did right, not what Adam did wrong. The language of the Old Covenant Law was, “Do in order to become! Instead of do, do, do, it’s done, done, done! We think we bring people to faith in Jesus by pointing out their “sin” and having them renounce an old life by repenting and confessing “sin” and asking Jesus to come live in their heart. the Gospel is the nearly too good to be true message awakening us to the mystery of Christ in us! I love that at the beginning of Romans Paul quoted Habakkuk 2:4 — Righteousness by God’s faith defines our life. It’s His faith that awakened us and it’s His faith that we live in… abide in. Gal 2:20: I have been crucified with Christ, and I no longer live, but Christ lives in me. And that which I now live in the flesh, I live through faith OF the Son of God, the One having loved me and having given up Himself for me. Habakkuk was a prophet who was deeply troubled about the injustice in his land and God’s silence on the matter. He Habakkuk asks God why He seems to delay judgment. he wondered where God was, and why God did not set things right. God answers that He has a plan for punishment, but it is far from what Habakkuk expected or wanted to hear. when the preposition “al” is added it means to raise up against… but there is not an “al” added to this word qum. Jesus said He is the Aleph and the Tav.. the alpha and omega, the beginning and the end. God goes on to say how “bad” these Chaldeans are… He’s not oblivious to their wrong behavior. one of the curses of disobedience to the Law was captivity by their enemies. And while it’s true Babylon (Chaldeans) did take Israel captive not long after this, I believe God was showing Habakkuk His ultimate plan for the Gentiles. Habakkuk’s misunderstanding was due to his limited understanding of the nature of God — Jesus said only the Son knows the Father… everyone else saw in part. and in light of the finished work of Christ. guilt is “ashem” which means trespass, offense, sin, etc. God tells Habakkuk man’s guilt or offense is not in the wrong behavior but in trusting in his own strength…. making it a god. Habakkuk complains again to God wondering why God would allow the Chaldeans to attack and possibly destroy Israel. Habukkuk finally understands that it is righteousness apart from the law…apart from works. That it is righteousness that comes from God’s faith. Yaweh is yod hey vav hey in Hebrew meaning behold the hands, behold the nails and is a revelation of Jesus. He said “yet” — although I don’t see it in the natural Lord… though all around me is chaos and evil… You’ve shown me Your end plan of salvation and I rejoice…I will jump for joy and triumph… I will joy (spin and dance wildly) in Jesus! and verse 19 says Yaweh Adonai is my strength! Yaweh Adonai – Lord Lord! He not only embraced God’s vision of salvation but found comfort in the fact that God has embraced ALL mankind in Christ. but we in the church also become sin focused like Habakkuk… seeing sin all around us and wondering why God’s not doing something about it. and He has already judged ALL mankind righteous because of Jesus’ faith not ours. shouldn’t we be more excited than Habakkuk knowing that it’s not a future deliverance but a deliverance that happened 2000 years ago at the Cross? shouldn’t we be trusting in grace, not more law, to govern our lives? We need to learn to rightly divide the word of truth — we can do that here in chapter 7 by realizing that Paul is not talking to us in the church — he is talking to Jews who were under the law before the Cross.